It seems Melbourne can't get enough of the sights and sounds of Korea. The city celebrated its first Korea Festival on 17 May in Federation Square with many iconic features of traditional and contemporary Korean culture including traditional costumes and music, K-pop and fashion show. 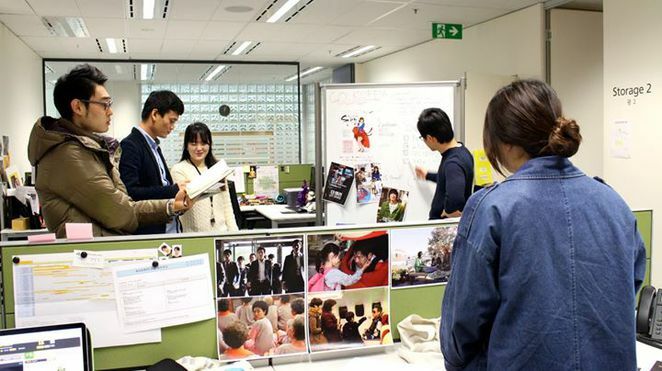 In September, the 2014 Korea Film Festival tour of Australia arrives in Melbourne, after visiting Sydney, Canberra, Brisbane and Perth. The city's favourite venue dedicated to all forms of moving images will be home to the dynamic world of Korean Cinema. From 9 to 16 September, you can catch some of the best and latest Korean movies including epic blockbusters and acclaimed art-house films at the Australian Centre for the Moving Image (ACMI). The Korean Film Festival in Australia (KOFFIA) was introduced in 2010 by the Korean Cultural Office, Australia (KCO), which acts as the Cultural Ambassador to all things Korean in Australia. Since then it has garnered support from Samsung in 2012 and the Australia-Korea Foundation, which is part of the Department of Foreign Affairs and Trade. 2014 marks the Festival's 5th year. As part of its 5th anniversary celebrations, the organisers have curated a bigger repertoire of movies that will take you on a journey of Hallyuwood. The selected films represent the quality of content produced by the Korean film industry. You can get an appreciation of the world behind Korean films which have been gathering more audiences around the world. To ensure everyone can enjoy the movies, all the films have English Subtitles. Get ready to immerse yourself in all things Korean through 80 screenings. Some of the line up include 'Miss Granny', which is a feel good movie about a 70 year old woman who finds youth again in a 20 year old body; 'Cold Eyes', a state-of-the-art cop thriller that mirrors an exciting video game; and 'Hot Young Bloods' set in 1982 is about the freedom and individualism of youth and about growing up. There is also a photowall at the cinema for you to say "Kimchi!" and take a snap of your visit, and selected screenings will hand out free Korean snacks. So mark the dates in your diary, select the films you want to see and grab your tickets before they are all gone. Why? Where else can you watch the best of Korean films?